My father James Orlo Bush served aboard from 1940-1941. He was in engineering. He retired from the Navy in 1960 as a BTC. He died in May 1965 from a brain tumor in San Francisco, CA. I was only 11 months old. I never got to know him or find out much about his life in the Navy. I did however follow in his footsteps and joined the Navy in 1986. 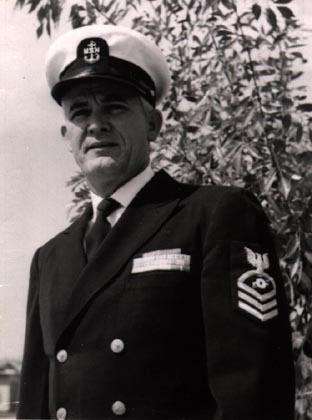 I am a Chief Petty Officer currently serving in Norfolk, VA. Attachment is a picture of my father taken in 1959.